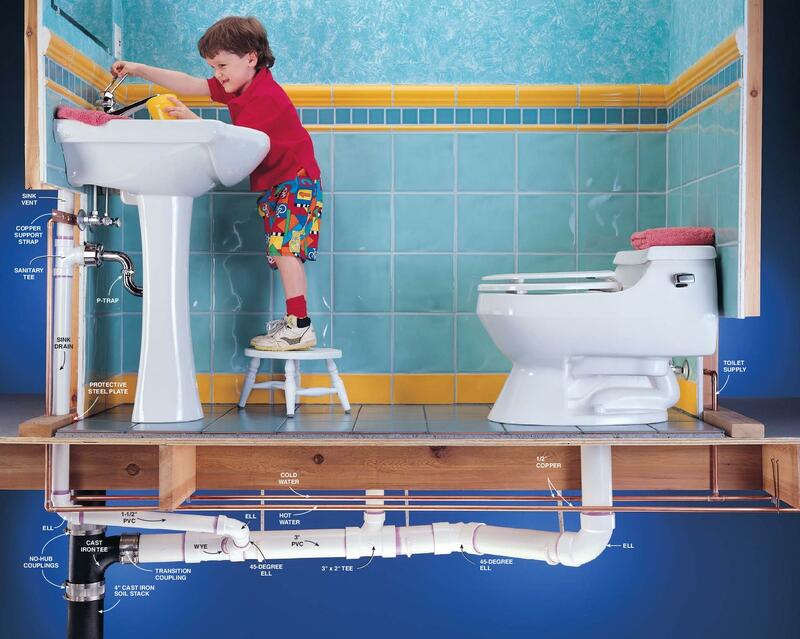 All plumbing fixtures are thoroughly tested for any operational problems, leaks or improper installation issues. 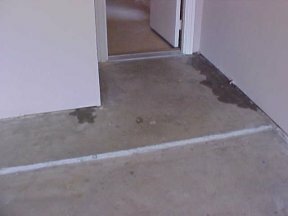 We perform unique testing procedure at every accessible plumbing area while at the same time evaluating the drainage of each fixture and the overall drainage of the sewer system. 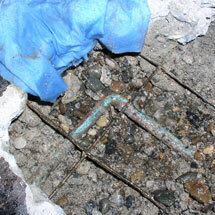 The plumbing system is a key component of any home inspection. 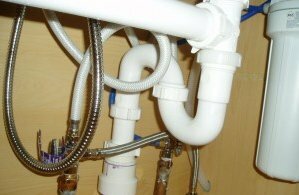 We inspect the interior drain systems, waste systems, vent systems, water supply, distribution systems, fixtures, hot water systems, Lastly, we locate the main water shut off device. AAPI Inspectors performs a detailed Plumbing inspection of every property. We inspect the interior drain, waste and vent systems and notifies you of the water source. We inspect the interior water supply, distribution systems and fixtures and notify you of any improper materials. We inspect the hot water systems, controls, flues, and vents. We will notify you the location of the main water shut-off valve (if found). You may see an older home completely remodeled and updated. You may think this home can’t have any problems. I don’t need a inspection or you may think I’ll have the cheapest inspection company inspect it, because there can’t be anything wrong. Suggest you think again. What's that smell in my hot water? 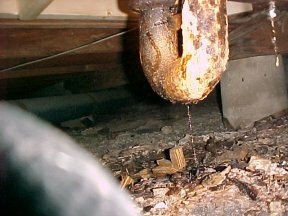 Many inspection companies will not crawl the crawlspace, because they figure that you get what you pay for, and their not charging enough to have to crawl the crawlspace. So they don’t! You saved $75.00 and it cost you $5,500.00. It is very difficult to see, but there is a hairline crack across this entire cast iron T fitting. We crawled all the way to this bathroom area in the crawlspace to find it. There had been 2 plumbers and another inspector under the house and they did not find it. Look closely and you can see a drop of water leaking out the crack. 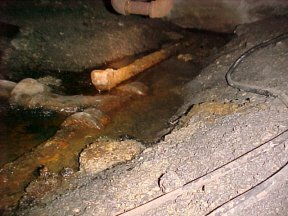 This is a sewer clean out on the outside of the structure plugged with rags. What you don’t see is that on the other side in the crawlspace sewage is leaking out into the crawlspace. Will some other inspection company find this for you? Cast Iron pipe has temporary patch of tar sealant. Would have started leaking after a month on two. Our client did not have to pay for the repair. PVC to Cast Iron pipe leaking. The plumber has used transitions to try to put miss matched parts together. We found the problem and our client saved $800.00. 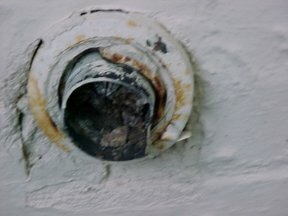 Kitchen sink has S trap drain connection, is not allowed by code by most all cities and standards, can cause sewer gasses to come up through trap. This is leak form a shower pan inside the wall and the bath is on the 2nd story. We saved our client $2,500.00. The plumber said he had repaired this yesterday. Can you see the new supports at the floor just above this leaking shower pan. Our client was convinced that it had been repaired. The seller, the sellers agent and the plumber had assured our client that it was repaired. What do you think?